Dr. Owens and his staff have been serving the Madison community with out-patient surgical services since 1995. Dr. Owens has been a vein care specialist since 1994. He is a member of the American College of Phlebology, the largest professional organization of vein care physicians. He takes pride in thoughtful, well chosen, compassionate and gentle care. He was the first physician in Wisconsin or Minnesota to perform modern endovenous ablation treatment of saphenous vein varicosities, in early 2000, recognizing the opportunity to spare his patients from painful and unreliable vein stripping surgery. He has continued to be on the forefront of vein care techniques and procedures. Vein Care Plus (formerly Minor Procedures) offers the full spectrum of vein care, from the tiniest cosmetic spider vein, to severe advanced disease. We strive to provide the highest quality and the most affordable care. Our patients enjoy the friendly and relaxed atmosphere of the office, and comment frequently on the helpful and informative efforts of the staff. We also provide other office surgical procedures such as: hemorrhoid treatments, vasectomy, skin lesion removal, facial rejuvenation and prolotherapy. Consider taking the time to review the testimonials and before-and-after photo pages on this website. Click the tabs at the top of the page to see more. 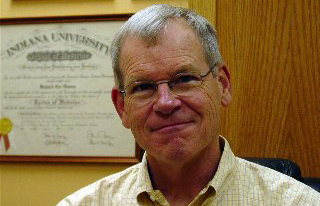 Dr. Richard L. Owens received his medical training at the Indiana University School of Medicine, completing his Doctor of Medicine in 1974. He interned in Ambulatory Care in the Department of Medicine, Columbia University College of Physicians and Surgeons at the Roosevelt Hospital in New York City, New York in 1975. He was a resident in General Surgery at Saint Vincent Hospital in Indianapolis, Indiana in 1976. He trained in vascular and plastic surgery. Dr. Owens became board certified in Emergency Medicine by the American Board of Emergency Medicine in 1984 and recertified in 1993. In 2008, Dr. Owens was certified by the American Board of Phlebology, the largest professional society for vein care.